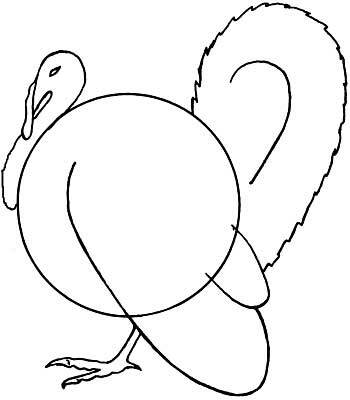 1) Draw the turkey's body with a large circle. 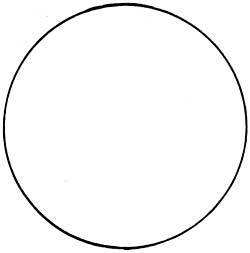 Be sure to draw lightly, because you will be erasing parts of this circle later. 2) Make a large teardrop or leaf-like shape for the tail. 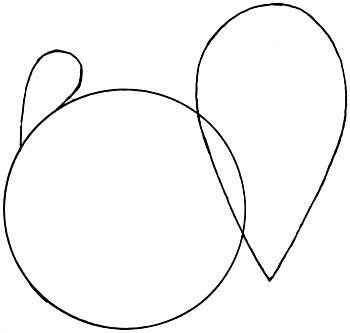 Draw a smaller teardrop shape for the head. 3) Next draw the two curves for the wing. Add two lines to start the feet. 4) Now put in an eye. 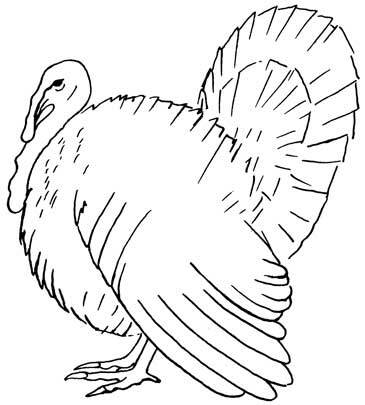 Finish the neck and the turkeys head by adding "wattles" which is the fleshy, funny looking growth that turkeys have near their beaks. Then finish the leg by drawing his toes and erase some of the old lines you don't need anymore. Finally, make a jagged line around the outside of the turkey's tail to make it look like he has feathers. You can stop here if you want to draw a simple turkey. 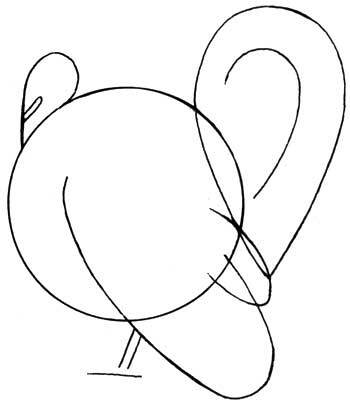 5) For extra credit, and a more realistic turkey, add more lines to show the details of his feathers. Also fill the eye in so it looks better. You can color your turkey brown or black, as most turkeys are brown or black, but some are also rust or yellow colored, or even multi-colored. The wattles are typically pink.